Symphony composite slate shingles are a masterpiece of synthetic slate design with enduring qualities of tooled craftsmanship, natural beauty, and harmony. 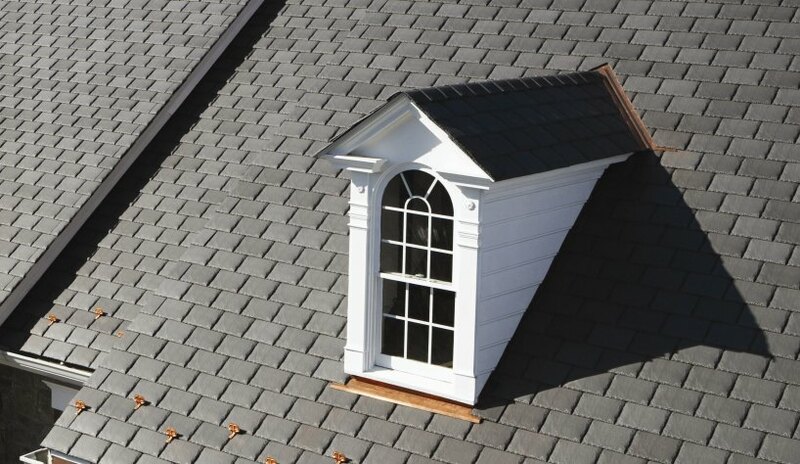 Symphony is a specially-engineered composite roofing shingle that mimics the look and feel of natural slate, but is lighter, more durable and costs a fraction of the price. Available in 6", 9" and 12" slate; and a variety of colors.